The crash in oil prices has caught the world by surprise. Currently, price level is at the lowest since 2009 and many analysts and experts from the industry, including top oil producer Saudi Arabia, believe cheap oil is here to stay for a while. Of course, the general public, political pundits, and investors are all asking the same question: Why oil prices keep falling and what are the reasons behind this global trend? Economics 101 tells supply and demand affect prices. Simply put, oil prices continue to plummet because there is a low demand and an abundance of supply. To better understand current supply and demand trend, it is also important to understand why oil prices spiked during mid-2000s. China was a rising star in the global economy and the height of its economic success transpired at the beginning of the new millennium. With vigorous economic activities characterized by new wave of industrialization and developments in transportation, the country’s demand for energy increased. China soon became a top oil importer. From 2011 to 2014, oil price hovered around $100. Apart from China, oil demands around the world also increased. Supply of oil around the world was disrupted due to several economic and geopolitical events that affected oil producing and exporting countries. For instance, the civil war in Libya and instability in Iraq led to a reduction in their respective production outputs as the Libyan and Iraqi governments directed their attention from economic activities to sociopolitical concerns. In addition, the United States and United Kingdom sanctioned Iran due to allegations concerning weapons of mass destruction. All of these events affected global supply. However, as oil price continues to spike, energy companies in North America decided to venture into domestic extraction, especially in difficult-to-drill areas in the U.S. and Canada. U.S. President Barack Obama announced the inclusion of energy independence in his governance platform, particularly in his economic policies. The goal was to reduce heavy reliance on foreign oil and to help the American economy bounce off from the 2008 Financial Crisis. President Obama has successfully revamped the U.S. oil industry. Soon, U.S. has become a top producer and its production outputs surpassed Saudi Arabia. In addition, while it does not export oil, its newfound energy independence affected a considerable portion of import shares of countries that import and export oil. Global demands also decreased due to critical developments in the global economy. The 2008 Financial Crisis and the Eurozone Crisis marked a slowdown in activities of economic powerhouses, including Germany. The economy of China also began slowing down. A shift away from oil to other energy sources also contributes to a decrease in global demand. The use of natural gas to generate electricity is becoming increasingly popular, even in oil-producing countries such as the United Arab Emirates and Qatar. Promotion of renewable energy resources in addition to advancements in related technologies have formed a significant part of energy mix in several countries, especially in Europe. As mentioned, the revitalized U.S. oil industry significantly reduced oil imports in the country. This also means leaving more supply of oil in the global market as U.S. was a top oil importer before its domestic oil boom. Libya and Iraq are also revamping their oil production, especially their oil exports. Note that the combined output from these two countries amount to 4 million barrels a day. 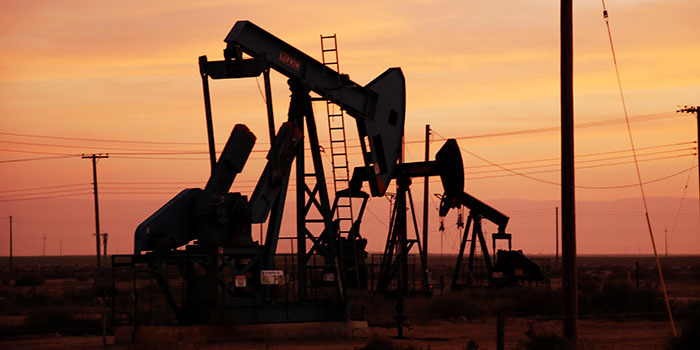 Established producers and exporters, particularly Saudi Arabia, have also refused to cut down their production outputs despite heated requests from other members of the Organization of the Petroleum Exporting Countries including Iran and Venezuela. It is interesting to note that Saudi Arabia and other producers from the Gulf are maintaining their production outputs and thus, are pushing the prices lower in order to protect their market shares. Accordingly, these countries believe it is better to have lower prices than risk losing their market shares. A reduction in output will lead to an increase in price; however, this will benefit competitors such as Iran and Russia. Collectively, the interplay among supply, demand, and price is affecting the global prices of oil. For a more detailed perspective, however, three things are driving oil prices down. The first one has to do with the production outputs of the oil industries in the U.S., Libya, and Iraq, as well as Saudi Arabia and the Gulf. Their specific oil activities are creating an abundance of supply in the global market. Second are the economic conditions across critical markets. The slowdown of powerhouse economies including China and Europe have contributed significantly in lowering oil demands. It is also important to highlight the fact that U.S. is working toward its energy independence as part of improving its economic performance. Finally, geopolitical interactions that also take into consideration competition in the global economy are keeping the price lower. Saudi Arabia and the Gulf are trying to maintain the current price by sustaining their level of production outputs to prevent other countries from taking their global market shares. Developments in Libya and Iraq, as well as in Iran or other emerging oil producing and exporting countries also translate into an increase in competition. There are nonetheless an abundance of producers producing abundance of supply in an otherwise limited and changing market.